Did this a while ago, in the fall I think. I came across the folder while getting ready to do some drawing again after a bit of a layoff. I am going to be doing a reading a Little Sisters Bookstore in Vancouver this Thursday, January 8 @ 7 PM. 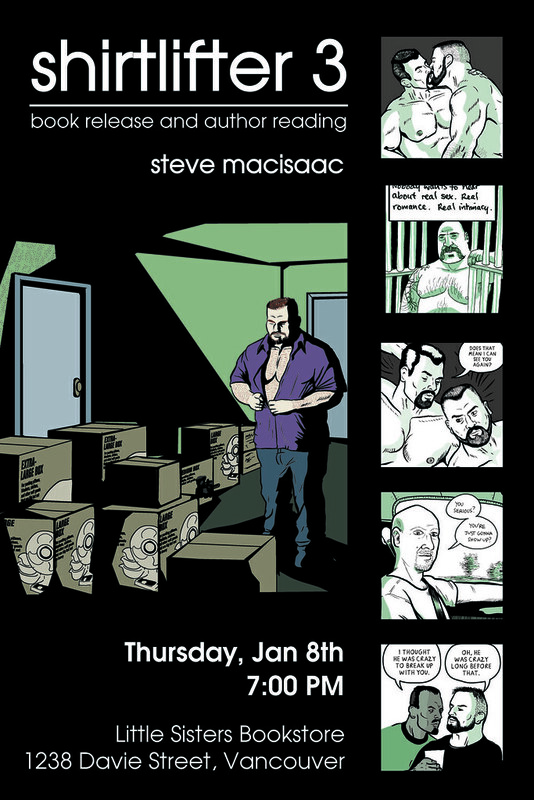 I’ll be reading an excerpt from the brand new SHIRTLIFTER #3 as well as some complete stories, and will also talk a little bit about my cartooning process before I sign books. I know that most of the world does not live in Vancouver, but if you do and can make it, it would be great to see you there.